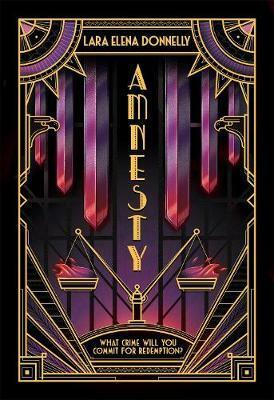 Amnesty is a smart, decadent, heart-pounding conclusion to Lara Elena Donnelly's widely-praised glam spy trilogy that will have readers enthralled until the very end. LARA ELENA DONNELLY is a graduate of the Clarion Writers' Workshop, as well as the Alpha SF/F/H Workshop for Young Writers, where she now volunteers as onsite staff and publicity coordinator. She is the author of the Amberlough Dossier series.